While smart phones have made selfies a commonplace activity, to the point where Webster's Dictionary made the word of the year, the very first selfie was created in 1839. 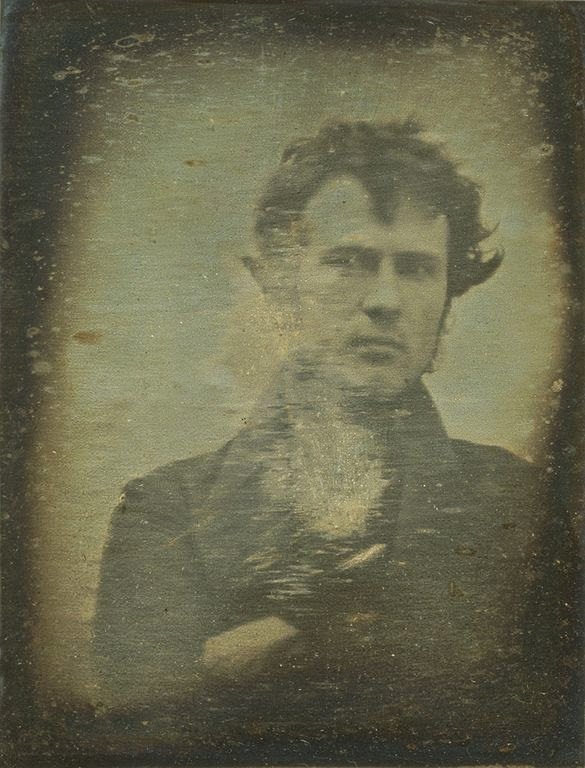 Robert Cornelius took his own self-portrait using the daguerrotype method. The only thing missing are some duck lips or him showing off his abs. You can learn more about it here.